At Colocation America it’s all about keeping our clients online and profitable. One of the main ways we do this is by offering affordable and reliable colocation services wherever and whenever you need. Our facilities are built to ensure our clients get the redundant DDoS protected network they want with the highest level of security they need. Built with N+1 redundancy on all networks, hardware, and power systems, our Colo plans are ideal for any business looking to save. *Above prices are based on our Los Angeles, CA data centers only. Whether you’re looking to host your full IT infrastructure or a single server for offsite backup, one of our 22 data centers is sure to provide you with the protection and connection you need. With Colo plans starting at 1U rack space up to fully customizable cages and cabinets, we’re here to provide you with the scalable solutions to meet your growing business. Will You Announce My IP Space? Do You Provide BGP Sessions? As long as there is a valid Letter of Authorization, which Colocation America will verify with receipt, we will gladly, announce the IPs. We also provide BGP Sessions, and there are no extra fees with announcing your own IP space or for providing BGP sessions. Depending on which of the data centers you choose, (we have Data Centers in Los Angeles, San Francisco, New York, New Jersey, Boston, Philadelphia, Chicago, Miami, Connecticut) we will provide the designated shipping address once you sign up for our service. Yes, along with all of our colocation plans, we will provide /64 IPv6 allocations with no extra charge. Our entire network is under DDoS protection. Because of these protections, your infrastructure will always remain connected and uninterrupted through all attacks. Yes, Colocation America is happy to attach a KVM to your server, based on your request, at no additional charge. We can also add KVM to an existing server of yours at any time 24/7 by simply contacting our support team and opening a ticket. of other businesses sharing power and bandwidth. more as opposed to standard Web Hosting, it is offset by the amount you save when sharing bandwidth with the other clients. Small businesses can benefit from not having to shell out huge amounts of cash for steady connectivity, high bandwidth, and an expert IT support staff. 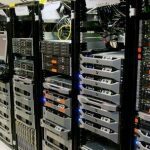 As one of the best colocation providers in the country, hosting with our company ensures that web entrepreneurs have a stable internet connection for 100% uptime and the bandwidth necessary to deal with sudden increases in web traffic. Large corporations usually have a dedicated team of IT professionals to manage and design their internet infrastructure that hosts their own web servers. We provide a way for small businesses to have the support of an expert IT staff looking after their server to make sure that it is always up and running at an affordable rate. Clients can also save on the cost of bandwidth by sharing it with other companies. Instead of opting for their own business grade DSL line, our clients can save on bandwidth by hosting their servers in one of our 22 data center facilities which provide fast bandwidth speeds and better redundancy for network connections. Our 22 data centers are equipped with backup generators capable of supplying power to the entire data center in an emergency situation and natural disaster. Our facility is built to never go down in any type of emergency situation, allowing us to offer a 100% uptime guarantee. Servers are stored in a secure environment with both physical and virtual security. We provide the best firewall and encryption services to protect against virtual threats and data theft. Our data centers are protected by CCTV surveillance cameras and biometric clearance access, along with security guards that patrol the area around the clock. Additional services can take your business to the next level. Our managed server services and SEO hosting are designed to improve your IT network while avoiding the expense of hiring a dedicated IT staff. These services can help you achieve your business goals and establish a dominant web presence. We then provide you with the IP, bandwidth, and power necessary to get your server up and running. Once the server goes online, clients can access their server like they would access a website through an easy to use control panel. Clients will also have the option to physically handle the server by visiting the data center at any time. Data centers are open 24/7 in order to give clients access so that they can freely modify their servers whenever they see fit. Since the hardware is owned by the client, we make sure that our data centers are always open so that our clients have access to their servers at all times. Free up your workspace and save money. Enjoy the benefits of our multi-million-dollar infrastructure without incurring the expenses associated with owning your own network. We offer custom-built cages backed by our world-class data center infrastructure. Our cages are tailored to suit your space, data, server, and power requirements. Clear your work area and preserve your budget. Take advantage of our multi-million-dollar infrastructure and eliminate the expenses associated with maintaining your own network. Secure and customizable Colo cabinets and cages are available. Our infrastructures are fully audited and SSAE 16 (SOC 2) Type II (Formerly SAS 70) certified. Our hosting operations are routinely and systematically inspected with focus on control objectives in the areas of organizational structure, governance, administration, physical/environmental controls, and physical/logical security. Rest assured, your system is secure with us.